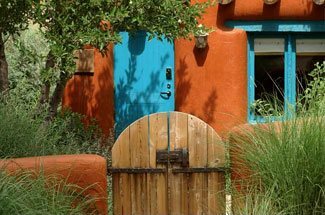 Santa Fe is unique in so many wonderful ways! We have our gorgeous high desert landscapes, our rich native traditions, and incredible sunsets and sunrises thanks to our crystal clear skies. Plus, you can’t forget our love for margaritas! This delicious drink goes hand in hand with our New Mexican cuisine. If you’re looking to experience our city’s favorite drink, you need to embark on the Santa Fe Margarita Trail. Now that you are planning on participating in the Santa Fe Margarita Trail, it’s time to start planning the rest of your trip! Our area is filled with countless other wonderful attractions. For a complete list of handpicked, local recommendations, take a look at our complimentary Vacation Guide. This valuable resource has helped so many travelers plan unforgettable trips to Santa Fe, so get a copy today! The Santa Fe Margarita Trail is one of our favorite ways to experience all of the different signature margaritas in Santa Fe. Begin by purchasing a Santa Fe Margarita Trail Passport for $3. You can buy it at one of the Santa Fe Visitors’ Centers or at any one of the 31 participating restaurants. You can also download the Santa Fe Margarita Trail Passport App on both Apple and Android platforms. You do have to purchase the paid version in order to collect stamps, but it’s only $3.99 and well worth it! In the app, you can track where you’ve been and see the stamps you’ve gathered and receive a $1 off coupon for each margarita. You can choose to collect your stamps in the app or the passport book, but you can’t do both. How Does the Santa Fe Margarita Trail Work? On your Margarita Trail Passport App, you can see all of the different restaurants participating in this fun experience! Pick one that sounds great to you, head to the restaurant, then order their signature margarita. Be sure to let your server know you are participating in the Margarita Trail. They will give you a “stamp” in your passport app or book. There is a limit of two stamps per day. There are some great rewards for participating in the Santa Fe Margarita Trail! Collect five stamps and you will receive a Margarita Trail T-shirt. Ten stamps will get you Provisionary Member Status in the Margarita Society. Fifteen stamps earns you a Full Member Status. Twenty stamps gives you a signed copy of the The Great Margarita book. If you visit all thirty-one participating restaurants, you will receive a Margarita Bartender Kit. In Santa Fe, we are proud of our rich culture and heritage. it shows in everything we do – our art, our homes, and even our food! 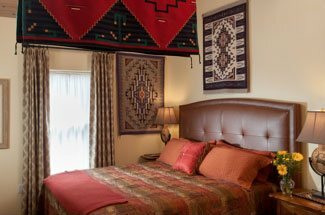 Begin your Santa Fe experience by staying at Four Kachinas Inn. Our luxurious rooms all feature traditional New Mexican architecture. It’s the perfect home base for your explorations of our beautiful city. 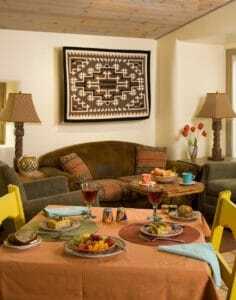 Book your stay and begin your Santa Fe adventure today! Cathedral Park in Santa Fe and What You Need to Know — Where is the Best Green Chile Burger in Santa Fe?